Also Remember to bookmark this page! 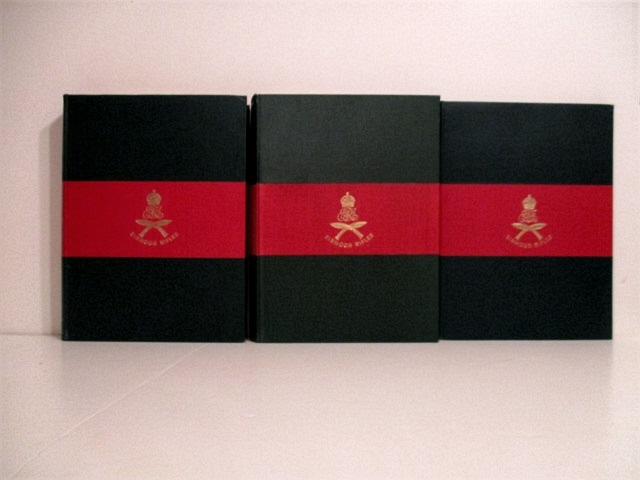 Buying & Selling Quality Military History for Over 30 Years. Current inventory about 36,000 books. Now adding books to List 94. April 2018 This list will largely contain a World War II Eastern Front collection but also a mish-mash of other books. List 93. December 2018. Includes a Great War Collection. I'm cataloguing new books and sticking them directly on the on-line server. Dynamic page only, No static page has been made for this list. Dynamic pages may be reordered by author, title, or most recently added. Now at 225 items. 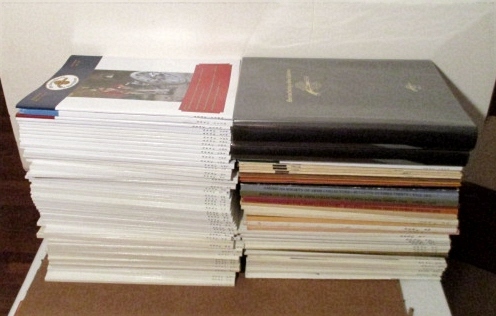 Books of which photos have been taken: ITEMS WITH PHOTOS about 2300 items. FOR SALE: Two original TYPED and SIGNED letters from Tom Clancy to Norman Polmar concerning the writing of the "Hunt for Red October". They were both typed by Clancy on his insurance company's letterhead with holographic corrections. The first, addressed "Dear Mr. Polmar" dated July 26, 1983, explains in five single-spaced pages, Clancy's plan to write a book about a Soviet captain "stealing" the submarine Red October. In the second letter, addressed "Dear Norman", dated September 12, 1984, Clancy asks Mr. Polmar to read and edit the fictional letter from Captain Ramius, commander of the Red October, to his patron, Admiral Padorin, carefully explaining why he is stealing the ballistic missle submarine. The letter is referred to in the "The Hunt for Red October" , but was never included in the published work. The 1984 letter to Mr. Polmar includes the full text of the letter sent by Ramuis. The copyright date for the "The Hunt for Red October" is 1984. More Photos by e mail. March 2019: Now $24.000. Reasonable Offers Entertained. This will also be offered as a Dutch auction. The price will be reduced $1,000 per month till it sells or until the consigner's reserve is reached. SEE STATIC PAGES OF OLDER LISTS BACK TO LIST 55 BELOW. List 92. October 2018. Collection of Bruce Kusrow. Antique arms and Civil War Confederate. I'm cataloguing new books and sticking them directly on the on-line server. Dynamic page only, No static page has been made for this list. Dynamic pages may be reordered by author, title, or most recently added. Now at 558 items. LIST 91 Catalogued Spring 2018. 495 items. Dynamic page only, No static page has been made for this list. List 90 804 items. Much of this material is overflow from the Gewirz collection that didn't make it on List 89. Also a collection of Knife books. Dynamic page only, No static page has been made. Dynamic pages may be reordered by author, title, or most recently added. List 89 issued in Early October 2017. 1385 Items. Emphasis on firearms, edge weapons, arms and armour, Uniforms, World War I American forces. Books from the collection of Ted Gewirz: Sometime president of the Company of Military Historians and long time dealer in antique arms. As a Static Page: List 89 Arranged by topic. As a Dynamic page LIST 89 Alphabetical by author default. (shopping cart links & photos when made). Civil War, British Army, World Wars I & II, Tanks Warships and Military Aircraft. Still 15 boxes remaining to be cataloged in September which will be mostly Tanks, Warships and Military aviation 1939 to present. I have posted an unorganized static page for List OP Static or you can go to List OP Dynamic in the data base which is linked to the shopping cart. Phone in Maine is 207-633-3117. List 88 issued in Early July 2017. 530 items: Arranged by topic. emphasis on Warships, WW II German, Military Aviation. All sorts of other stuff....Books from the collections of Samuel L.Morison, George Peterson, Erik Schliffka and others. As a Dynamic page: LIST 88 Alphabetical by author default. (shopping cart links & photos when made). List 87 issued in Early February 2017. 887 items: Arranged by topic. emphasis on uniforms (especially American), WW II German, American Colonial, Arms and Armor, Military Aviation. 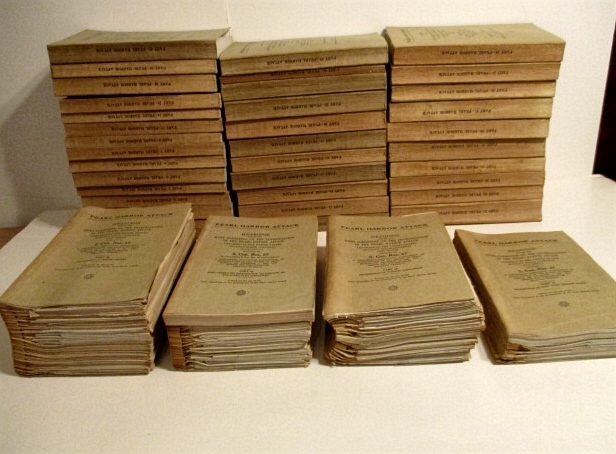 WW II Aviation Manuals. All sorts of other stuff....Remainder of Paul Braddock's books & more from Col. Zedler and others. These are all the books cataloged since list 86. As a Dynamic page LIST 87 Alphabetical by author default. (shopping cart links & photos when made). List 86. Arranged by topic. Issued in early October 2016. A small but high quality List with only 279 items of which 55 are sets. Entirely on British Victorian era 1840-1900. Collection of Ron Van Sickle. 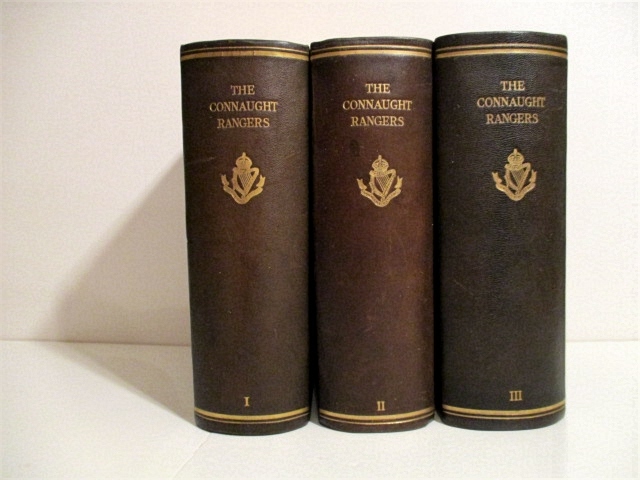 Almost all original editions in collectable grade condition. extremely scarce items. 98 published before 1900, 61 published 1900-1921, 64 published 1921-1966, only 44 since 1965. List 85 with 748 items issued in early July 2016. Arranged by topic. Almost entirely books from the collection of Llewellyn Lord, early member of the Company of Military Historians, plus a smattering from LT Gen. Richard Thompson. Emphasis on Napoleonic uniforms, Other uniforms. US Marine Corps especially World Wars I and II. 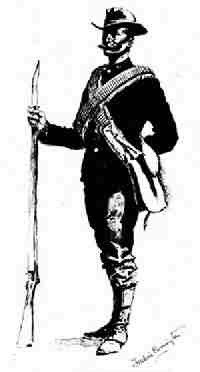 British Army in the 19th Century and its colonial adventures. Great War aviator's accounts. Several US Navy ship histories from WW II. List 84with 747 items issued in early February 2016. Emphasis on German WW II especially SS divisions, (many in German), WW II Soviet operations, WW II American paratroopers, Pennsylvania National Guard & Militia 1600-1950. Plus the usual smattering of Manuals, Military Aviation, Warships etc. From the collections of Brig Gen. Lawrence Caruthers, Col. Don Zedler, Erik Schliffka, Greg Harding, Paul Baddock and others. List 83with 999 items issued in early November 2015. These are items added to Lists 65 to 82 following the posting of their static pages and thus have not previously appeared on a static list. Emphasis on German WW II, Manuals, Military Aviation, Warships etc. A real hodge-podge. List 82with 602 items issued in early July 2015. Emphasis on Napoleonic Uniforms, Napoleonic Wars , Small Arms Manuals, World War I (both British & German forces), US Marines in Vietnam & Iraq, World War II German, Warships, Military Aviation etc. List 81with 494 items issued in Early February 2015. Emphasis on Manuals (especially WW II), AAF Silk Escape Maps, British WW I, US Army Signal Corps. Biographies of World War II British Generals, Military Aviation, etc. List 80 with 1450 items issued in Early October 2014. Books on this List are from collections of Books from the collections of Col. Sonny Laine, USMC, Marius Peladeau, Dudley Mecum, Simpkin, Wm Canfield, Tim Reese, Sheldon Goldberg, Bud Gamble, Charles Fultz. A little bit of everything but with emphasis on 19th Century Civil War biographies & references, Early British Regimentals, Manuals, American & German Tanks. List 79 with 849 items issued in Early April 2014. Books on this list are from the collections of David Potter, James J Stevens, Tom Devaney, John C. Reilly, and others. Emphasis on Small Arms, British Army in India, Napoleonic, World War II. List 77 with 1465 items issued in Late February 2013. Books on this List are from libraries of Radford Gamble, Sheldon Goldberg, Air Force official historian, and others. Emphasis on British Army & Navy, American Revolution, Military Manuals, Warships, Military Aviation including many Bomb Group histories. List 76 with 741 items issued in Late October 2012. Books on this List are from libraries of James Sawicki & Radford Gamble. Emphasis on Warships, Military Aviation, British Army & Navy, Military Manuals. List 75 with 913 items issued in Mid July 2012 Books on this List are from libraries of William Brown, National Park Service historian, Radford Gamble & Others. Emphasis on American Colonial, American Revolution, 18th Century British Army, Warships, Military Aviation. List 74 with 813 items issued in Mid February 2012. Books on this List are from libraries of William Emerson, Sheldon Goldberg, Air Force official historian, Radford Gamble et al. Emphasis on British Army, esp. Indian Army & Scotch regiments, Military Manuals including one from 1661, Tanks & Armored Fighting Vehicles, Military Aviation, Warships. The great majority of the titles on this list have not previously appeared in any prior List. List 73 posted in late October with 1074 items. From a variety of sources including William Bartsch, WW II avaition historian, & Maj. Gen. Ted Atkeson. Emphasis on WW II Military Aviation, WW II in the Pacific, Warships, British & European Small Arms, Tanks & Armored Fighting Vehicles, American Revolution. List 72 posted in late June with 1090 items. The Library of Maj. Gen. Bruce Jacobs, National Guard historian. List 71 with 739 Items Issued January 2011. Books from the collections of Peter Copeland, Charles Fultz, Bill Anderson & several others. Emphasis on Civil War Small Arms, WW II American Unit Histories, Warships, Naval Americana, etc. List 70 with 938 items issued Early July 2010. Books from collections of Dean Boorman, Peter Copeland, Charles Fultz & several others. World War I, Small Arms etc. List 69 with 1060 items issued Early February 2010. 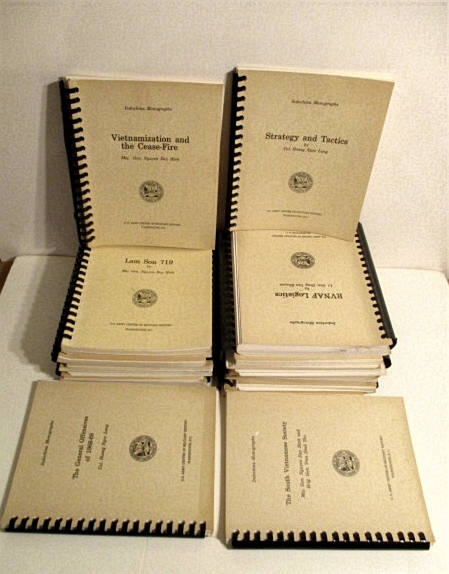 Books from collections of Peter Copeland, Edward Ryan, Charles Fultz, & several others. World War I Railway Artillery, Small Arms, Uniforms, Napoleonic, World War II East Front & US Unit Histories. List 68 with 1095 items issued Early October 2009. Second half of books from collection of Gen. Charles West plus books from various other sources. Emphasis on Uniforms, 19th Century British & Pre-Civil War American Military History as well as Warships, Aircraft & Small Arms & Tanks. List 67 with 971 items issued Mid April 2009. Books mostly from the library of Charles Pritchard, ordnance expert. List 66 with 1157 items issued Mid January 2009. Books from collections of Gen. Charles West & Radford Gamble. Emphasis on Uniforms, 19th Century British & Pre-Civil War American Military History as well as Warships, Aircraft & Ordnance. List 64 with 767 items issued late June 2008. The collection of antique arms & militaria collector Don Heckaman. List 63 with 866 items issued early February 2008. The first hundred items pertain to the Russo-Japanese War. There are also some unusual WW II USN deck logs. List 62 with 890 items issued in Late September 2007. About half this list is WW II unit histories, both large & small units. List 61 with 954 items issued in early March 2007. List 60 with 889 items issued in late September 2006. Library of Eric Ludvigsen, collector or orders & decorations. Part III. List 59 with 705 items issued in late June 2006. List 58 with 1141 items issued in late January 2006. Library of Eric Ludvigsen, collector or orders & decorations. Part II. List 57 with 1142 items issued in late September 2005. Library of Eric Ludvigsen, collector or orders & decorations. Part I. List 56 with 810 items issued in early July 2005. List 55 with 1013 items issued in early February 2005. Includes books from library of Col Robert Heinl, USMC official historian. New Wrinkles: SHIPPING: In order to make the processing of orders simpler, I have changed the domestic basic media mail rate to: "Media Mail: Book Under 3 lbs. in box" for $5.75. The old rate was 2 lbs for $5.00 but 90% of books fall under 3 lbs. There is still a small paperback rate $4.00 for books under a pound as well as Overzise and Very Oversize choices. SHIPPING TIMES: I looked at actual shipping (in transit) times for shipments this fall (2015): Media mail to the west coast is running 2 to 5 days. Most locations in the US the delivery is in 2 days. Priority to west coast is 2 to 3 days. Also note that recently I have been adding a large number of books directly into the data base which have already appeared on static pages (Lists). They may vary from the original listing in various ways: usually condition and price. The item number will have a letter at the end. Note: Static pages are organized by topic with an index bar on the left, are easy to scroll through, but not updated when items are sold. Please do an inventory search (at left) to see if items of interest are still available and to place an order using the shopping cart. You may browse, search & purchase without registering. You may also order by phoning 202-333-7308 or e mailing [email protected]. Propay will have their orders held three weeks before mailing. shopping cart checkout. Several new shipping rates for the US & Foreign customers have been added, so please choose the most appropriate one. I will be able to give partial refunds for excess shipping but not able to adjust upward for heavy items or sets. For such transactions I would recommend calling to provide your card information. Also Books with inventory numbers beginning OP can only be shipped in June or September each year. I will travel to buy substantial libraries. Small lots bought by mail. No visitors please: Books are not physically browsable. Remember to bookmark this page ! Les Uniformes de Premier Empire. 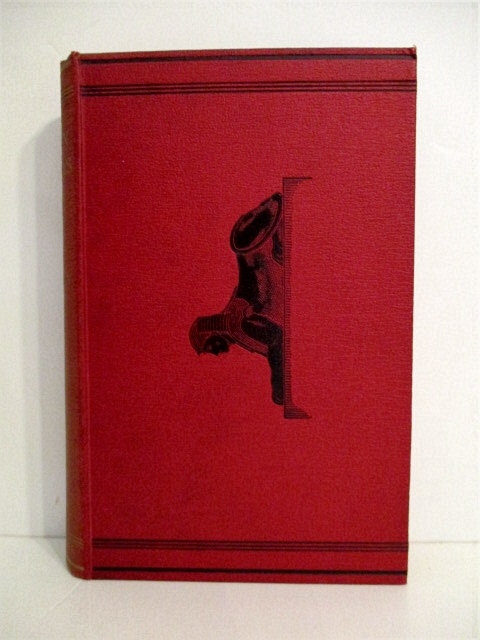 (Complete 10 Volume set). By: Bucquoy, Cdt. 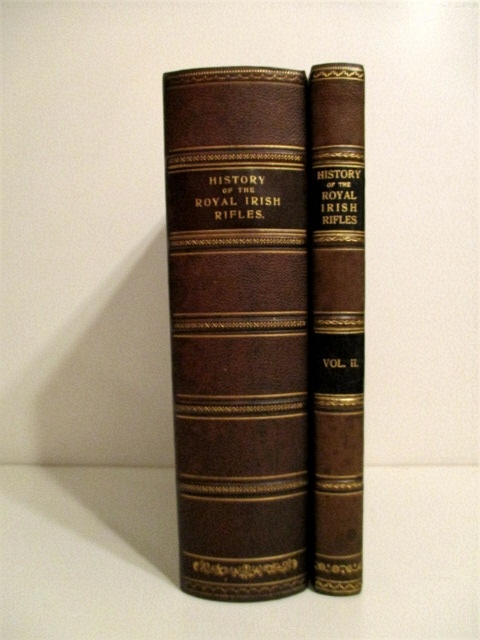 E. L.
Bulletin of the American Society of Arms Collectors. Numbers 1 to 114. 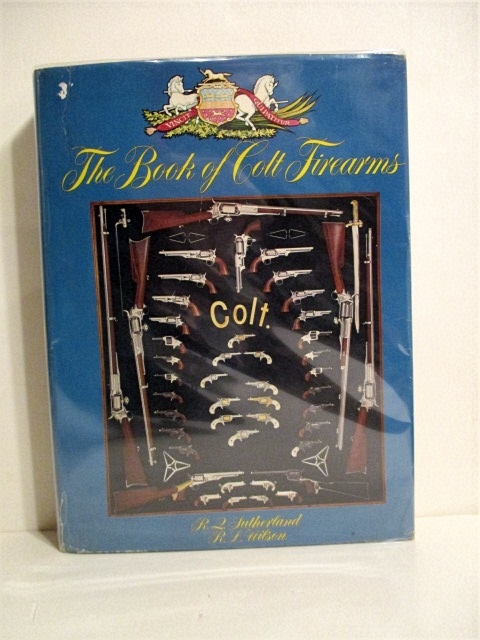 By: American Society of Arms Collectors. 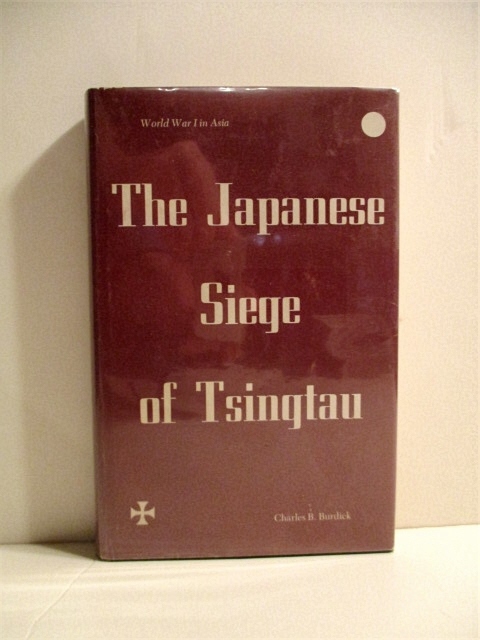 Japanese Siege of Tsingtau: World War I in Asia. 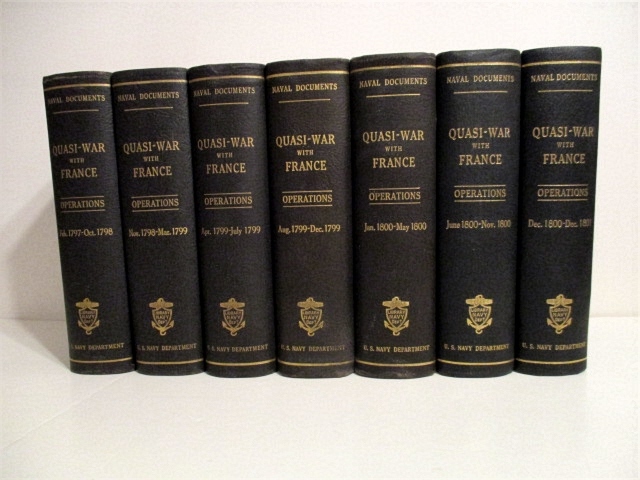 Naval Documents Related to the Quasi-War Between the United States and France: Naval Operations. 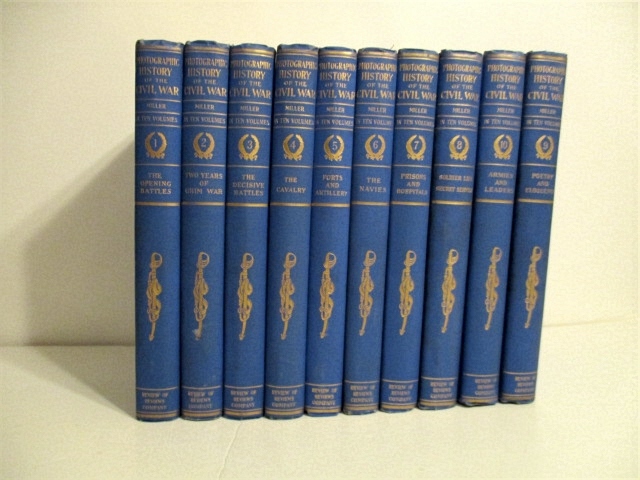 Complete set of 7 vols. Kreta: Sieg Der Kuhnsten. 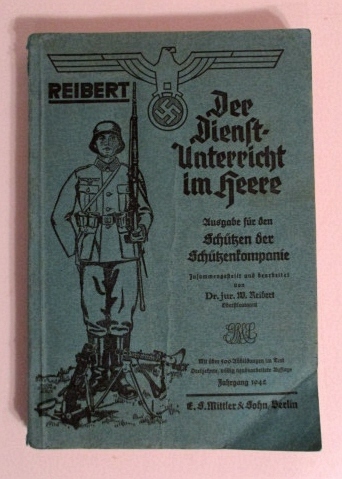 Vom Heldenkampf Der Fallschirmjager. By: Student, General Der Flieger (hg). Dahm, Franz (photos) & Schnitzer, Hans-Georg (text). Combat Helmets of the World / Elmetti de Combattimento di Tutto il Mondo. 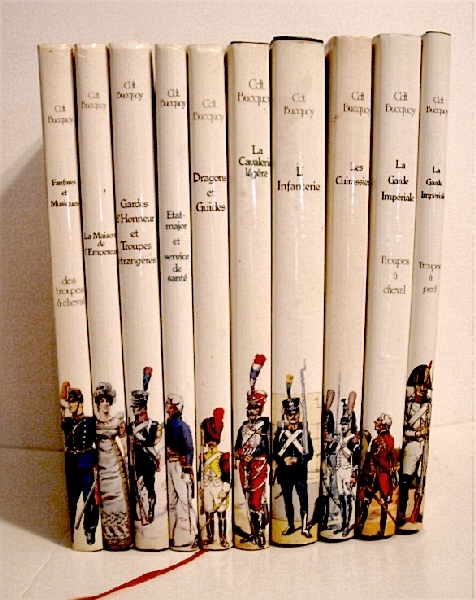 Les Uniformes du Premier Empire : Cartes Documentaires en Couleurs / publiées sous la direction du Capitaine E.-L. Bucquoy. By: Bucquoy, Cdt. E. L. (Eugene Louis). By: Sutherland & Wilson, R. L.
Photographic History of the Civil War. (10 Vols. ).